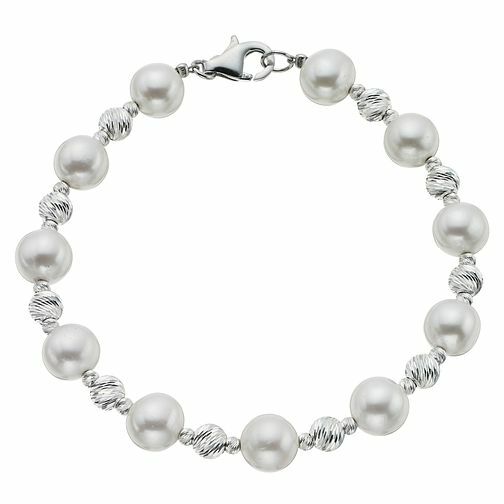 A simple silver and cultured freshwater pearl bracelet featuring a lobster clasp fastening. A modern way to wear pearls, with silver beading alternating with each pearl for a fashion look. Silver jewellery for all occasions. Silver & Cultured Freshwater Pearl Bracelet is rated 4.3 out of 5 by 3. Rated 4 out of 5 by Anonymous from Lovely bracelet Very pleased with this bracelet. Its very pretty and good price.